The Innevation Center recently launched a new blog! Below is top news that happened during the week of April 28, 2014. #1 – Code Day is Coming! 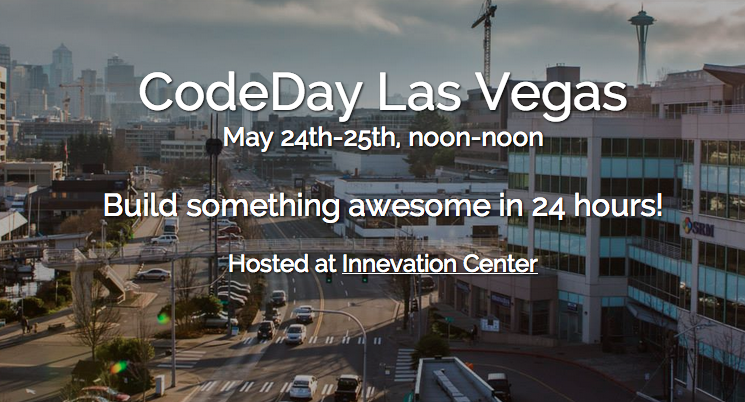 May 24, 2014 at noon at The Innevation Center, Code Day kicks off! Don’t miss this 24-hour event. Students passionate about technology will get together and build cool things. Come support the event — pitch ideas, form teams, and build a cool app or game over 24 hours! Get all the details here. The Innevation Center hosts 11 tech meetups every month at their space. If you are new to the #VegasTech community, looking to make more friends here, or interested in meeting others to help you start your next project, these Meetups are a great place to connect. Check out the list of current meetups at The Innevation Center here.